A walking holiday that combines river cruising with daily trekking? 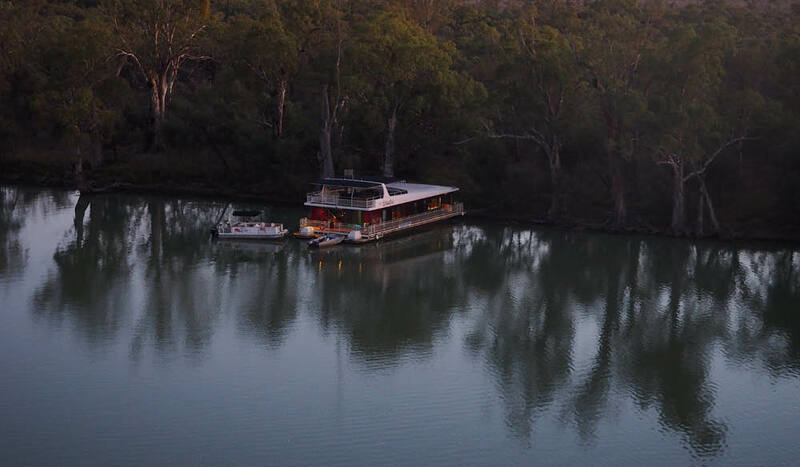 Murray River Walk is a journey like no other. Worth waking up for: Sunrise over Headings Cliffs, Murray River. It’s 4pm on a Monday afternoon in mid-spring and I’m picking my way through isolated and scrubby bush, about 15 kilometres from Renmark. 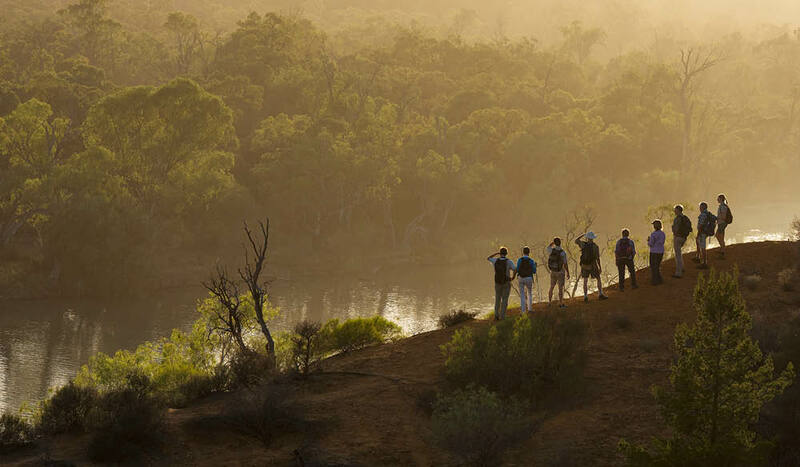 I’m not alone: ahead of me are 11 companions – two guides and nine fellow walkers – and we’re on Day One of the Murray River Walk, a four-day, three-night excursion in South Australia’s Riverland. There’s a quiet anticipation rippling among us because our head guide, Tony Sharley, the creator of this walk, has mentioned that we’re only moments from the end of our walking day. We can’t see the finish line yet, but it’s there. “Remember to lift your feet,” he says kindly. He knows our pace has quickened; the inevitable pull of the day’s end. It’s at this point, though, that I hold myself back. 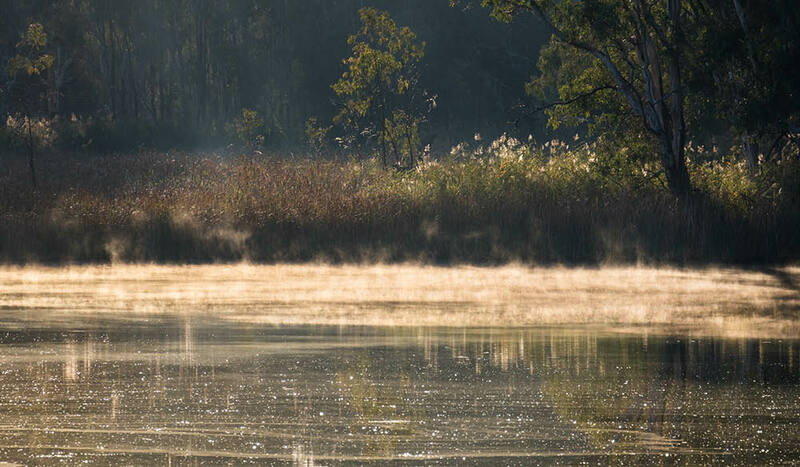 I want to soak in the surroundings: to my left is a dense red-gum forest and to my right, the Murray River, cast in shades of blue and brown. Overhead, the sun emerges from behind a cotton-wool cloud, the water shimmers like metal, an egret dives in, and a fish, startled, jumps out. It’s a tableau of beguiling energy and beauty; I can’t help but smile. And then I hear hurrahs from up ahead: my co-walkers have clearly reached our camp. Which is why, when we’re in the pontoon, he pauses regularly to explain interesting titbits about river flows, or fish populations, or lock systems. Similarly on land, he points out shell middens and shield trees, evidence of indigenous communities from the past. Together, we admire wildflower fields and ephemeral wetlands. 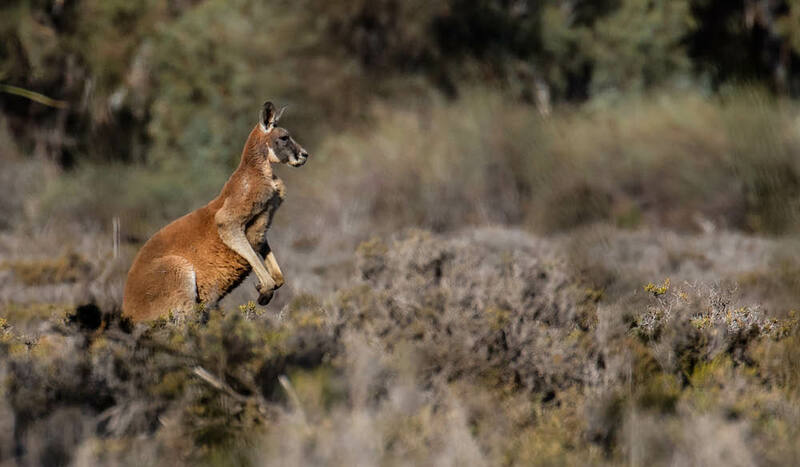 We marvel at emus and roos darting away; we spy goannas camouflaged in the trees, and myriad birdlife in the sky. Our walking is never tough, averaging between 12 and 14 kilometres a day, covered at a very pleasant place. We carry daypacks filled with water, snacks and lunch (our luggage stays on the houseboat). Our group is an eclectic bunch: scientists, winemakers, lawyers, and media professionals, each with varying degrees of walking expertise. We chatter as we walk, getting to know one another, but also discussing what we see and learn along the way. That continues at day’s end over nibbles and local wines; or while soaking in the hot-tub gazing at the views of the river; or over our three-course dinners, made from native and local produce and served by our guides. Such creature comforts are the perfect foil to days spent on the river and trails. On our final day, in the pontoon one last time, I think about those words Sharley used: authentic and unique. It seems a perfect assessment of this experience. As we motor, red cliffs rise along the banks, grey-green gums lean precariously over the water’s edge and birds caw in the distance. I have my feet propped up on the side of the boat; the sun warms my face and the wind whips through my hair. Yep, I could get used to this kind of walking. 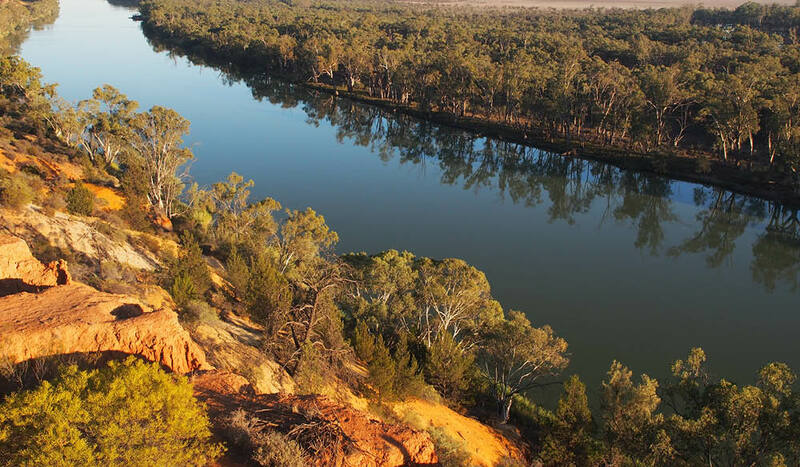 Murray River Walk departs from Paringa, near Renmark, at 8am on select Mondays, between May and October. Prices starts from $2300 per person, including all meals, with three-course dinners and drinks, houseboat accommodation in a double room, and all cruising and walking activities. 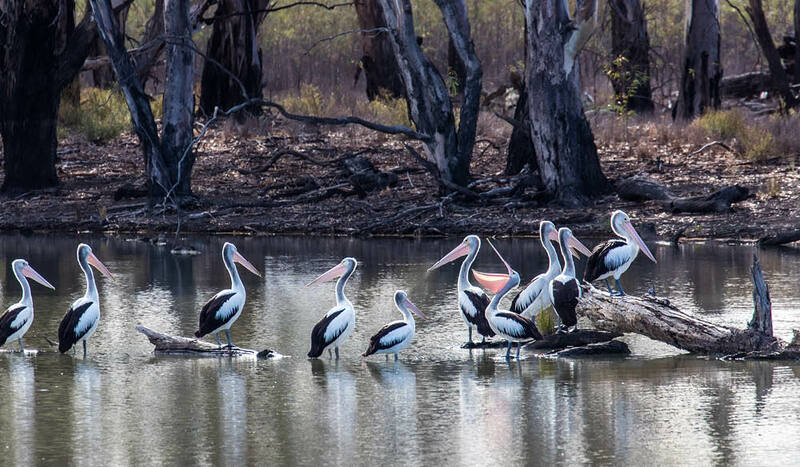 Renmark is 250 kilometres north-east of Adelaide and 137 kilometres west of Mildura.